Troy ( Truva, Troia ) is a world heritage site famous for its Trojan horse and mentioned in the epic Iliad and the Odyssey by Homer. 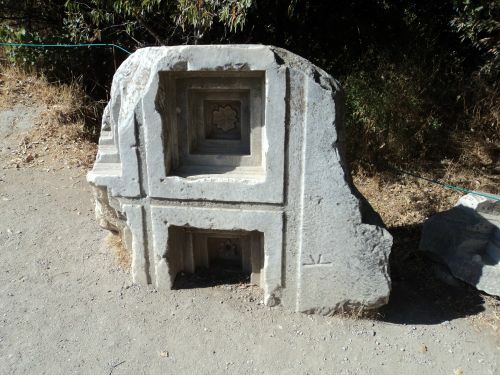 It is located 30 km from the city of Canakkale and some 5km inland from the Dardenelles. Troy is well documented in history even though its very existence was doubted for years. It was supposed that Troy might have been a mythical city or that it had existed in far off lands including the unlikely Scandinavia. It is recorded that Alexander the Great visited Troy in 334 BC. The city of Troy was originally right up against the sea but over the years the build up of silt and shifting tides have placed it inland. 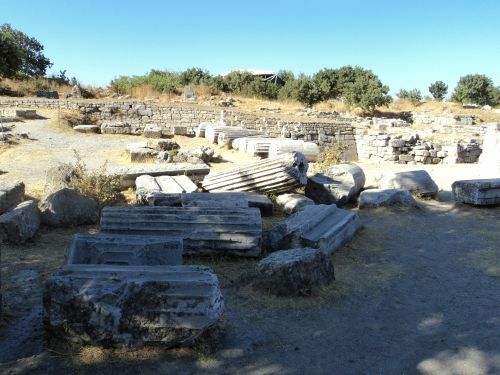 The city of Ilium was also founded on this site during the reign of the Roman Emperor Augustos but its importance faded with the growing success and expansion of Constantinople. There is no easy way of explaining it but the early excavations of this site have been disasterous. An English archaeologist by the name of Frank Calvert carried out the first excavations and when he teamed up with a German archaeologist called Heinrich Schliemann investigation of the area confirmed that several cities, on nine different levels, had been built over each other at the same location. 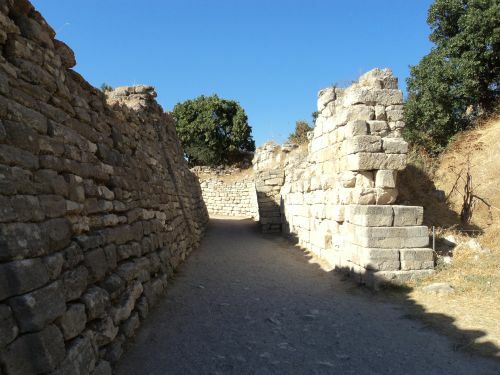 Schliemann could only use information that he had at the time but unfortunately he dug through several layers of cities and deeper than the original city of Troy thus creating confusion and displacement of valuable ancient material. Schliemann is reputed to have found numerous treasures at the site which became known as Priam’s Treasure. He sold them to the Berlin Museums but there are doubts about the authenticity of the objects. 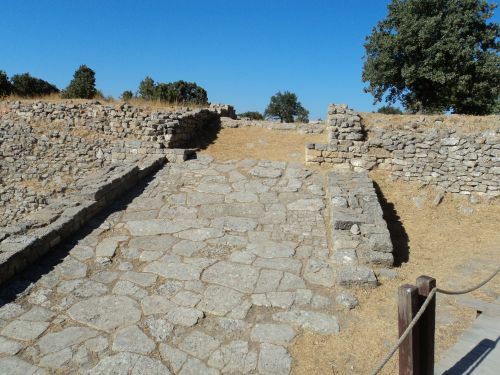 Recent excavations show evidence of a deep ditch covering a much larger area that may have marked the boundaries of the city of Troy and attributed to around 1250 BC. There now seems little doubt that this was indeed the site of the famous city of Troy. The story of Troy is famous and steeped in legend. 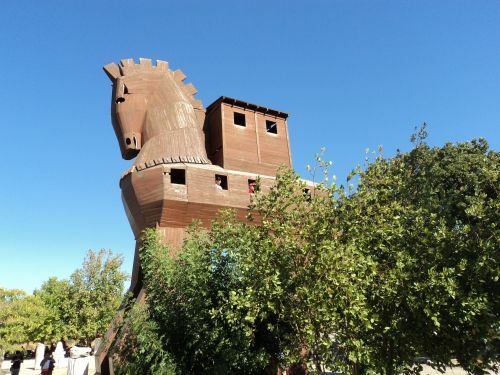 Odysseus found that breaking the seige of Troy was becoming impossible and ordered that a huge hollow wooden horse be made that could accommodate soldiers hiding within it. The horse was placed outside the city walls and the Greek fleet sailed away as if in an admission of defeat. The horse was dragged into Troy as a trophy and late at night the Greek soldiers climbed down from the horse, opened the gates to the city of Troy and the Trojans were slaughtered. Priam was killed and Cassandra was raped. This magnificent city had been overcome with cunning and deceit. 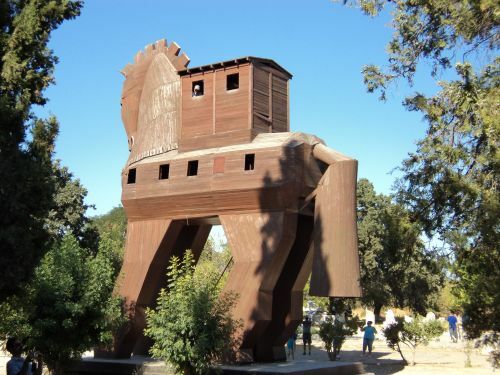 The expression “beware of Greeks bearing gifts” comes from the Trojan horse. 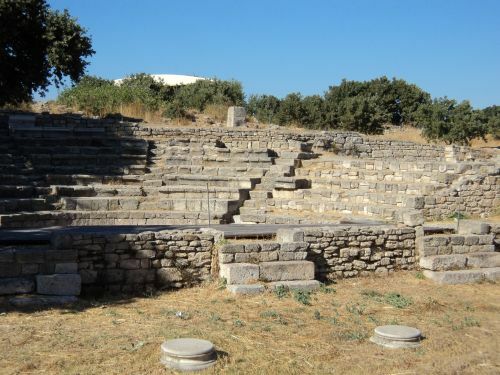 Anyone visiting Troy will find the nearby village at Hisarlik totally reliant on the sale of Troy related souvenirs and refreshments. In the 1980’s the site was pretty forlorn and devoid of much information but in recent times the excavations have revealed a much more comprehensive picture of what Troy may have been like. Car parking and facilities at the site have been improved and there is a dedicated gift shop. 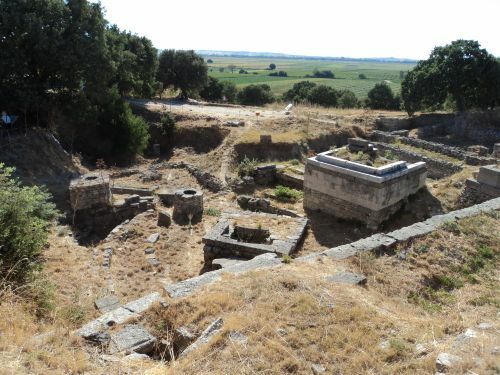 Visitors to Troy should not visit expecting to experience the breathtaking grandeur of places like Ephesus, Pergamon and Aspendos which have been carefully re constructed in less complicated environments than what have been found at Troy. 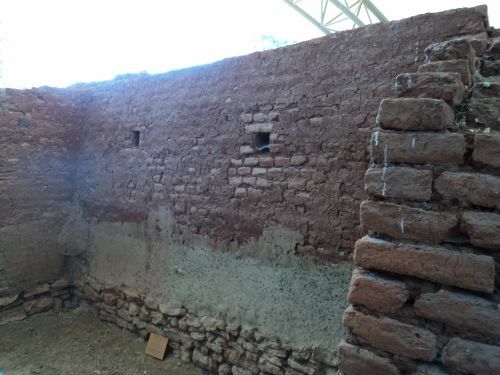 These sites were not subject to the same level of damage and looting and were therefore much easier to piece together. Although the ruins of Troy were only discovered in 1873, it quickly became one of the most famous archaeological sites in the world. It is a World Heritage site and if you find yourself anywhere close to this region of Turkey a visit is highly recommended.